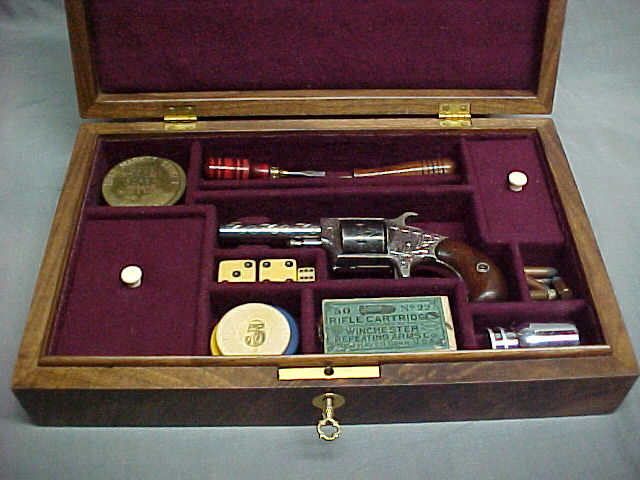 Colt & Remington Derringer Pistol Display Gamblers Case . 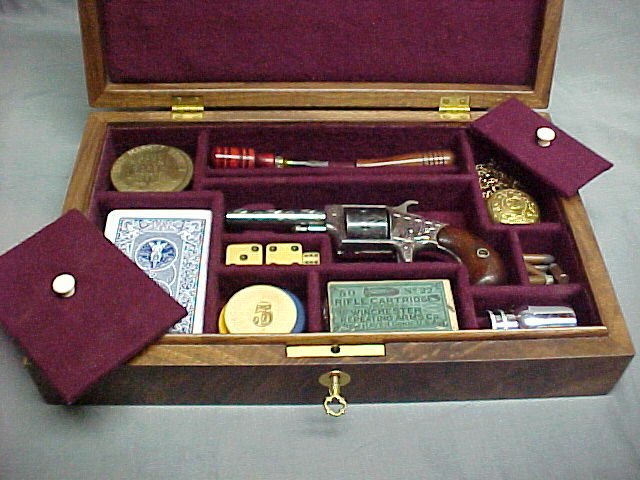 Made in Original VINTAGE Style with various compartments to accompany the Gamblers "Tools of the Trade". Mahogany construction with brass hinges, lock and escutcheon key plate. have come to be called "gamblers cases". all, small arms known collectively as Derringers. and can also be fitted to your own accessories.